Love it. 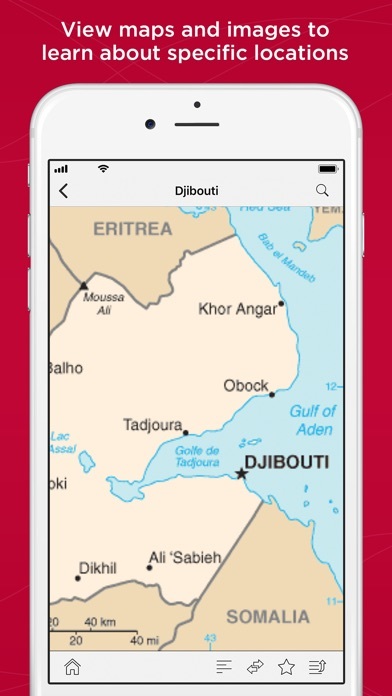 Update a humanitarian relief app to remove Ebola, but don't add iPhone 6+ support. Ebola may have decreased cases, but it is still active. If you're going to update an app, at least update the app. A great app on a wonderful platform. It contains a variety of very useful items and functions flawlessly. Love this app - great collection of resources, though they are a bit outdated. The yellow book one version out of date and the CIA Facebook appears to be VERY out of date. Very easy to use and has a ton of info. 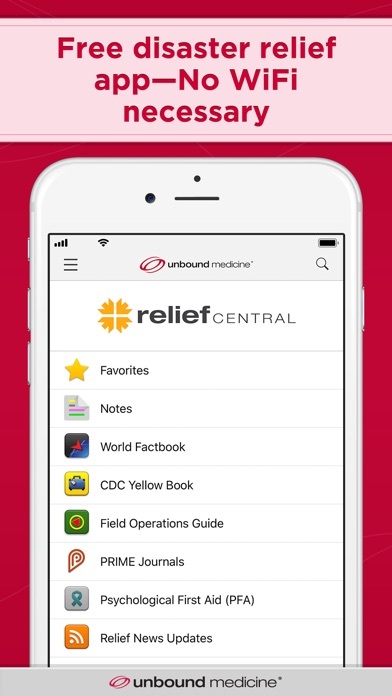 Unbound Medicine has some of the best apps for medical info. I love them! Having the USAID FOG is indispensable. A huge plus. The articles are also good, but should encompass non-HADR publications that also cover HADR stories (Newsweek, Time, etc.). Also, when. I try to open ReliefWeb articles (or any links under it) it crashes the app. This does not happen with other articles. Just having the Worldfactbook at my fingertips makes this worth while! 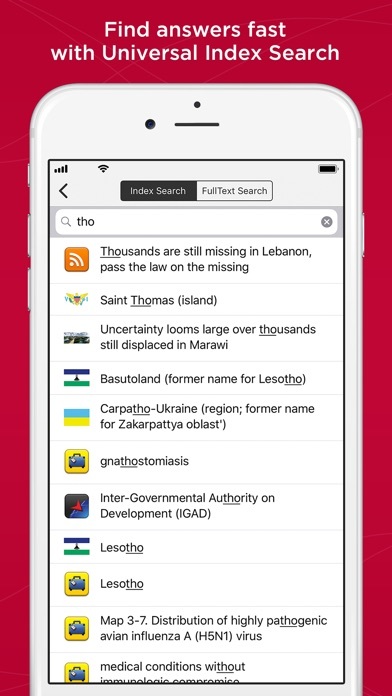 Unbound Ties Up Another Great App! As is the norm for Unbound Medicine, they know exactly what medical personnel and patients need right at their fingertips, and provide it. 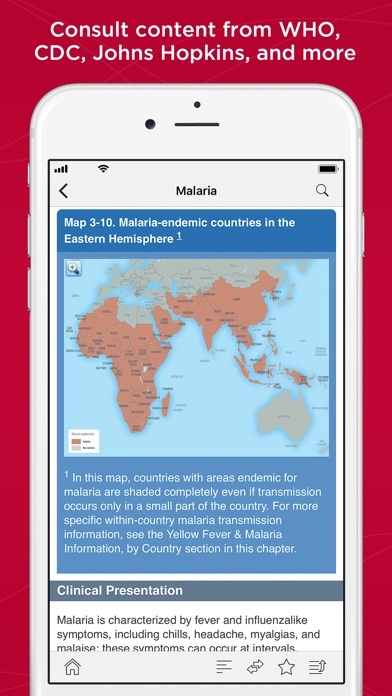 The often updated app covers everything one needs in an emergency situation, how to work in that situation, and what protocols should be followed. The RSS feed, of magazine articles concerning everything from EMS to studies on particular disasters and what is learned from their outcomes, is great abstract reading. As we see the Haitian disaster still unfolding, this makes looking at what was learned in past events even easier. 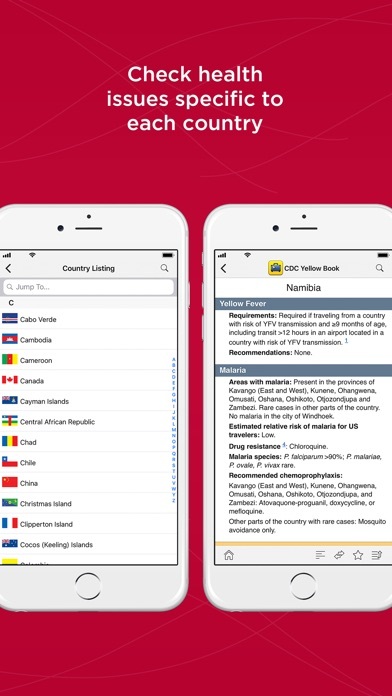 More importantly, the app brings forth many relevant areas that tie together when a disaster strikes.